The Johnsons are all set for an exciting trip to New York! 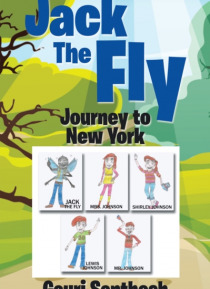 But what happens when adventurous young Jack the Fly decides to come along? Will this plan end up in a birds belly? Or will Jack heroically survive the scenic but dangerous journey? Jack the Fly is truly one of a kind!